Home › Media › Interviews › Mubarak Resigns: What’s next? For the latest analysis on Mubarak’s resignation and what’s next for Egypt, we’ll hear from Diane Singerman, a political science professor at American University and editor of the book, Cairo Contested: Governance, Urban Space and Global Modernity. 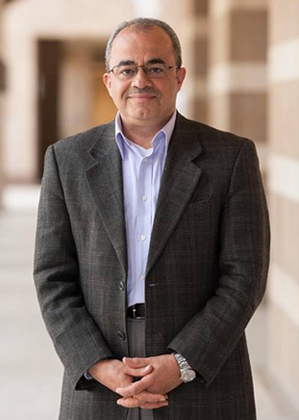 Also, we’ll talk to Emad Shahin, professor of religion, conflict and peace-building at the University of Notre Dame, who’s in Cairo. And for another perspective from Cairo, we’ll speak with Alia Saleh, a mother of two who lives near Tahrir Square. She’s been watching the events unfold from her window.